Former 007 star George Lazenby’s version of how he became and then abandoned James Bond. Utilizing a documentary and narrative hybrid approach, Becoming Bond — now streaming on Hulu — chronicles the life of George Lazenby, the roguish Australian male model-turned-actor who was the first to succeed Sean Connery in the role of James Bond. It’s a charming if slight account as told by the subject himself, but its (mostly comedic) reenactments sometimes do more to undercut Lazenby than they do to convince us he deserved to be 007. Becoming Bond is built around Lazenby recalling his life — from his impoverished, problem child youth in Australia to his days as a mechanic and car salesman to finally his accidental career as a male model and then, of course, the big screen’s second James Bond — and love affairs, which are all reenacted in largely comedic fashion in scenes starring Josh Lawson (Superstore, House of Lies) as Lazenby. Director Josh Greenbaum’s decision to allow Lazenby to essentially relate his tale as he recalls it makes for some fun sequences of Lawson’s Lazenby acting out some of those experiences, although it also calls into question how reliable a narrator Lazenby is. And maybe that’s the point. Lazenby is a character in the greatest story he knows: his own. He owns up to his arrogance, which he sees more as brutal honesty and being himself, and also ‘fesses up to his own shortcomings, from bad judgment to episodes of sexual dysfunction. But as funny as these reenactments can be, there’s a TV sketch comedy show vibe to them — at times feeling more like Austin Powers than James Bond — that undercuts what a surprisingly effective Bond Lazenby was for a guy who had never acted before. If he comes across as this much of an oaf then it leaves the impression of him being unworthy of the role. Lawson is a fine comedic actor, but he simply doesn’t resemble Lazenby enough to really convince. From the hairline to the overall physicality, he just doesn’t look like the real man the film cuts back and forth to throughout. 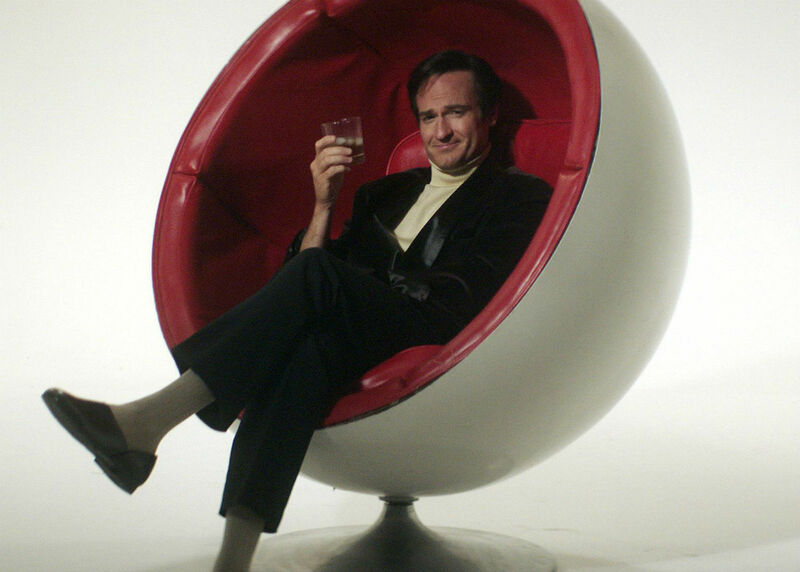 Josh Lawson as George Lazenby in Becoming Bond. The most effective parts of the dramatizations involve George’s pursuit of Belinda (Kassandra Clementi), an upper class Aussie he falls head over heels for. While there’s definitely some creepy, stalker-y stuff to his pursuit by our day’s standards, George’s romance with Belinda helps to humanize him and make you sympathize with him even when he’s being foolish and arrogant. Lazenby’s macho schtick is definitely not something celebrated in today’s hyper-sensitive, PC culture, and there are times when you can’t help but cringe at some of his (and his “character”‘s) behavior. But the film and its subject at least deserve credit for showing the man in a largely warts and all light. The supporting cast — include Jeff Garlin as Bond movie producer Harry Saltzman, former Bond Girl Jane Seymour as George’s agent, and Jake Johnson and Dana Carvey in cameos — don’t have especially well-rounded roles, adding to these scenes coming across more like skits than anything truly substantial. Ultimately, it’s Lazenby himself that makes Becoming Bond worth watching. He’s effortlessly charming, one helluva raconteur, and his story is undeniably interesting … even if this viewer (and, I feel safe to assume, many other Bond fans versed in the history of the franchise) may view his version of how his tenure as Bond ended with some skepticism. The charming, skillful storyteller George Lazenby himself is the best reason to watch Becoming Bond. The reenactments, while often funny and involving, simply can’t hold a candle to the man and his anecdotes.